The word "robe" has an intriguing etymology, its stem coming from the verb "rob," whose original meaning was the spoils of war. Its primary definition in English specifies it as a garment worn in the European Middle Ages, its most salient features being a long, loose, billowing form and its use as a signifier of rank, office, or special position. "Robe" is often used interchangeably with the word "gown," though the original meaning of the latter denotes clothing styles particular to classical antiquity, such as the Roman toga. Common usage in the early twenty-first century expands these definitions further, to include a variety of garment forms ranging from informal bathrobes to women's formal evening wear and wedding gowns. Loose-flowing outer garments in general have come to be known in the modern English-speaking world as markers of certain members of the clerisy, professoriate, or legal profession. Indeed, the words "robe" and "gown" are used as metonyms, shorthand terms that stand for each of these groups as a distinct social class. For example, "robe" or "black robe" can refer either to monks, especially missionaries, or to judges, while "gown" is the preferred term for representing scholars and professors, as seen in the phrase "town and gown." These particular professional garments are all in one way or another based originally on ecclesiastical vestments, though the ones worn by judges and professors have undergone major changes in usage. 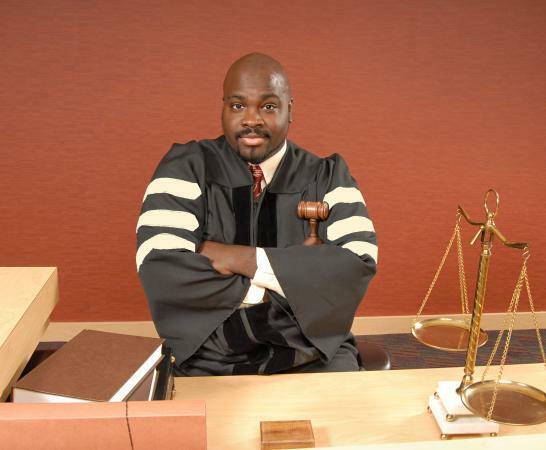 In the early 2000s, judicial robes and academic gowns are worn over everyday costume and only on formal occasions, and so are therefore made of lightweight fabrics. The plain, ankle-length robe of Christian monastic orders was anything but lightweight. Patterned after the long, wide-sleeved tunic of Roman times, it was necessarily made of coarse and humble material, usually wool. 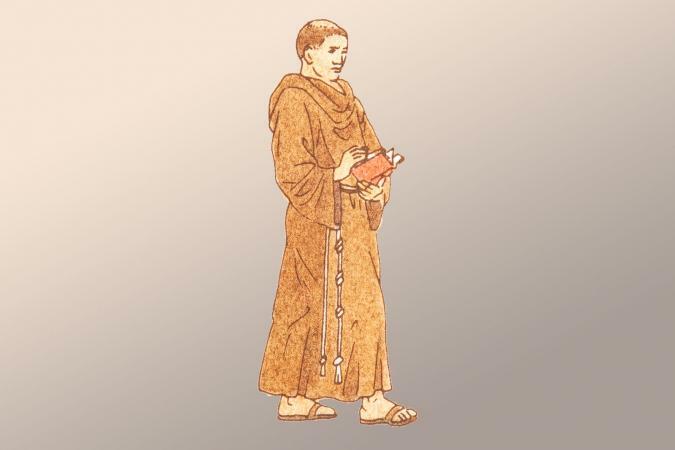 The monastic robe was an all-purpose garment worn by both men and women. There were slight variations of it over time among the different orders, but it kept to a single basic form that was meant to represent the Christian ideals of poverty and humility. Rules stipulated that the fabric should be the cheapest kind available in the local community and that the garment should be gathered and tied at the waist at all times. As for color, these robes tended to be neutral (subdued or understated), in dark or light tones. The overall effect was one of simplicity and timelessness. Robes-as garments signifying special individuals or distinct social groups-are a worldwide phenomenon. Their visual features cannot be precisely defined. Robes of many shapes, sizes, designs, and cuts have been employed to represent certain religious or ethical principles, to designate members of religious orders, and, in some cases, to delineate levels of rank within them. One well-documented example of the latter is the system of robes that developed among Zen Buddhist monasteries of Japan. Individual monks were restricted to three robes. One of them was worn as an everyday garment, another more formal robe was for special occasions within the monastery, and the best one, the "great robe," was reserved for ceremonies and duties outside the monastery. The color of the robe varied according to the individual's rank within the religious hierarchy and also according to where his community was placed in the rankings of particular monasteries. At one end of the spectrum were the ordinary provincial priests who wore black robes, while at the other end were the heads of the imperial monasteries in Kyoto, who were allowed the privilege of wearing yellow ones. Another robe, a kesa, was worn on top, draped over one or both shoulders. It was a rectangular patchwork stole made of silk brocade remnants, and followed a system of ranking based on the number of pieces sewn together. An extraordinary mantle from an archaeological site in Paracas, Peru, offers us glimpses of religious robes that were in use there before the Incan Empire. Excavated from the tomb of an important and revered figure, most likely a priest, the rectangular cloth is made of cotton that is then painstakingly embellished with polychrome wool embroidery. What remains of its border consists of a frieze of ninety figures that are depicted in remarkable detail. Altogether they portray a vibrant pantheistic ideal that permeated these peoples' belief system. Human beings merge into animals and plant forms, suggesting that all of life was conceptualized as intimately and spiritually inter-connected. The more elaborately dressed and equipped figures in the frieze wear mantles of varying length draped over the body, some of them with zoomorphic terminations. Interpreting the identities of these figures is problematic. Nevertheless, on the basis of their headdresses and the types of implements held in their hands, it appears very likely that the ceremonial robe or mantle was a prerogative shared by priests and war leaders. Robes also became institutionalized in various parts of the world at different times as a major component in investiture ceremonies for political leaders. Such was the case in Christian Europe, where the coronation of kings and queens relied heavily on symbolic regalia, especially crowns, robes, and scepters. Coronation robes were often based on the vestments of bishops-tunic, chlamys, dalmatic-which were thought of and revered as ancient garb dating back to the kings and priests of Old Testament times. As such, these garments were deemed appropriate vehicles for articulating the transformation of a royal candidate into the holder of sacred office. Similarly, the robing ceremony itself paralleled the ritual of Christian baptism. One prominent example is the 1953 coronation of Elizabeth II of England. Held in Westminster Abbey, according to tradition, the ceremony began with the singing of a psalm dating back to the coronation of Charles I. Then came the entrance of the Queen, wearing her white coronation robe, an elegantly embroidered formal gown. Draped on her shoulders was a very long crimson cape, its train carried by six attendants. She was escorted by two bishops, resplendent in their brocaded ceremonial copes. The service consisted of four main segments: the recognition, when the queen was presented to her people; her swearing of the oath of office on the Bible; the anointing ritual, with the queen wearing a plain white robe; and, finally, the robing ceremony, during which the Mistress of the Robes helped her don the spectacular royal tunic and belt. A much more elaborate cape was draped on her shoulders for the final act, the crowning of the queen. Throughout, the term "robe" referred to the queen's garments-gown, cape, tunic-and the ceremonial changing of them to symbolize her ascension to the throne. One of the most well-known examples of imperial robes is the Chinese "dragon robe" tradition. Although the emperor himself and his throne were symbolized by dragon imagery, this was not a garment reserved for him alone. The dragon robe proper meant a particular type of garment worn at court and by government officials, especially during the Qing Dynasty (1644-1911). Over time, the garment style varied from ample, flowing forms to trimmer, more tailored ones. In all cases, the dragon motif was central, either brocaded into the textile or embroidered onto it with silk and gold threads. Early versions of the dragon robe included design features deemed appropriate for certain ranks, such as the placement of dragon motifs, their scale, and how the dragon was depicted. After 1759, a set of laws were put in place in an attempt to systematize the imagery and regulate who was entitled to wear it. For example, only the emperor's robe could be brilliant yellow, with nine golden dragon motifs, while the robe of the heir apparent was a shade of orange-yellow. Background color and the number of claws on the dragon were features that distinguished rank among the imperial princes. Although these rules were not strictly followed, the visual elements remained relatively constant until the ending of the dynasty and its costume traditions in 1911. Dragon robes, along with kimonos and other similar garments, have served as inspiration for modern designers of elegant dressing gowns and housecoats for men and women. Yet another kind of robe became an institution-the "robe of honor"-which was developed most fully in the Muslim world for designating and formalizing a variety of important relationships. It circulated in special ways, being ceremoniously awarded from one individual to another in order to confer authority, seal alliances, and publicly proclaim official ties and positions. Already in ancient times, rulers in parts of Asia had personally bestowed valuable garments on their followers as a sign of special favor. The prophet Muhammad reportedly did this as well, which set the precedent for the robe of honor-khil'a, in Islam. Muhammad's successors, caliphs of the Umayyad and Abbasid dynasties, wore robes of office that were identifiable by their embroidered borders. The khil'a was patterned after these official garments. During the Abbasid period, production and distribution of honorific robes expanded-especially under the rule of Harun al-Rashid (786-809), when thousands of them flowed into and out of his treasury. A distinctive feature of the robe of honor was the type of imagery embroidered along its border, which included signs, symbols, or epigraphic inscriptions referring to the reigns of specific rulers. Such robes were ceremonially bestowed by many people in a variety of contexts-patron to client, scholar to student, merchant to merchant-thereby encouraging a sense of loyalty among individuals who otherwise might differ according to their ethnicity, religion, language, social class, profession, or family group. Circulating robes of honor became, therefore, an effective social and political tool for creating solidarity within the cosmopolitan cultures of Islam. The example of the Sokoto caliphate (1804-1903, became northern Nigeria) shows that robes of honor were influential in other ways as well. Over the century of its existence, this Muslim state grew to be the largest polity in West Africa, and it impressed Europeans with the quality and volume of its cotton textile production. At least some of this achievement can be credited to the robe of honor tradition and how it was subsidized and encouraged by the caliphate's leaders and elites. Intent on bringing about an Islamic revival, they promoted, among other things, the manufacture and circulation of flowing robes with a distinctive pattern of motifs embroidered in silk along the neck and pocket. They were instantly recognizable as caliphate robes, and the imagery signified divine protection and good fortune. Favorable taxation policies encouraged merchants to set up spinning and weaving workshops, while officially supported Quranic scholars managed the work of hand embroidery. As in the Abbasid period of classical Islam, robes were brought into the central and emirate treasuries in large quantities as tribute and spoils of war. They were then redistributed, as a mark of military achievement or appointment to office, and as a gift to honorable allies, subordinates, and foreign visitors. In 2004, similar robes were made in Nigeria for sale in the market, though most of these were embroidered by sewing machine. Many robes and robing traditions are no longer being made or practiced; fortunately, some have found their way into museum collections. As objects of study and exhibition display, they remain richly rewarding in their new role as documents of cultural and social history. 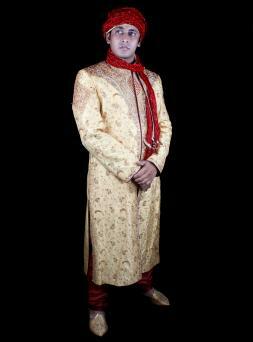 See also Religion and Dress; Royal and Aristocratic Dress. Brinker, Helmut, and Hiroshi Kanazawa. Zen: Masters of Meditation in Images and Writings. Zurich: Artibus Asiae Publishers, 1996. 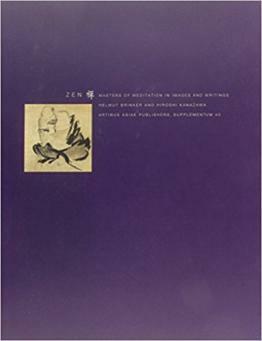 Masterful catalogue of the art and culture of Zen. Cammann, Schuyler. China's Dragon Robes. New York: Ronald Press Company, 1952. Classic study of the history and variants of the dragon robe. Country Life: Coronation Number. London, June 1953. Facsimile edition, June 2003. D'Harcourt, Raoul. Textiles of Ancient Peru and Their Techniques. Seattle: University of Washington Press, 1974. Invaluable description and technical analysis of major Peruvian archaeological textiles. Gordon, Stewart, ed. Robes and Honor: The Medieval World of Investiture. New York: Palgrave, 2001. Excellent edited volume containing cross-cultural case studies of robes and robing ceremonies. Kriger, Colleen. "Robes of the Sokoto Caliphate." African Arts 21, no. 3 (May 1988): 52-57, 78-79, 85-86. Case study of the robe of honor in a nineteenth-century West African caliphate. Pollack, David. Zen Poems of the Five Mountains. New York: American Academy of Religion, 1985. Reske, Henry J. "Showing His Stripes." ABA Journal 81, no. 3 (March 1995): 35. Stillman, Yedida Kalfon. Arab Dress: From the Dawn of Islam to Modern Times. A Short History. Leiden, The Netherlands: Brill, 2000. Excellent synthesis of research on Arab and Islamic dress.